If one takes the property of another from their person, the victim must be aware of the taking for the crime to be classified as a Robbery. For example, if Kelly was visiting the Las Vegas Strip with some friends and came across a street worker performing as a magician. If that magician was able to remove her watch, from her wrist, without her knowledge, the magician could not be charged with a robbery. Here there was no force or threat of force, this would classify as Larceny from a Person, which is still a serious Felony offense in Nevada but not a Robbery. But, if Kelly was walking down The Strip and a man came out of nowhere, demanded her watch, then pushed her against a wall and ripped the watch from her wrist, this offense would be considered a Robbery under Nevada law. If convicted of Robbery, you would be facing 2-15 years in prison. Additionally, if you used a “deadly weapon” in the commission of the Robbery, you would face an additional 1-20 years in prison on top whatever the Judge sentenced you to for the Robbery itself. 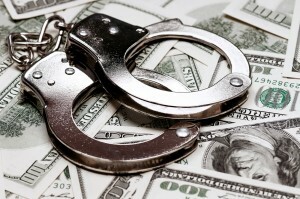 When faced with a Robbery charge, immediately contact Las Vegas Criminal Defense Attorney Michael A. Troiano. He will work directly with you on your case and provide an aggressive and well planned out defense. Copyright © 2014 - 2019 Michael A Troiano. All Rights Reserved.